French President says he convinced U.S. President to keep troops in Syria. French President Emmanuel Macron on Sunday said he had convinced U.S. President Donald Trump to keep troops in Syria. Macron’s comments came a day after the United States, France and Britain launched joint air strikes on Syria in response to the regime’s use of chemical weapons on civilians in Douma. “Ten days ago, President Trump was saying ‘the United States should withdraw from Syria’. We convinced him it was necessary to stay,” Macron said in an interview on French media, as quoted by Reuters. “We convinced him it was necessary to stay for the long term,” he added. The United States, Britain and France said they only hit Syria’s chemical weapons capabilities and that the strikes were not aimed at toppling Syrian President Bashar Al-Assad or intervening in the civil war. Macron said limiting the strikes to these specific targets was not necessarily Trump’s initial plan. “We also persuaded him that we needed to limit the strikes to chemical weapons (sites), after things got a little carried away over tweets,” he was quoted as having said. 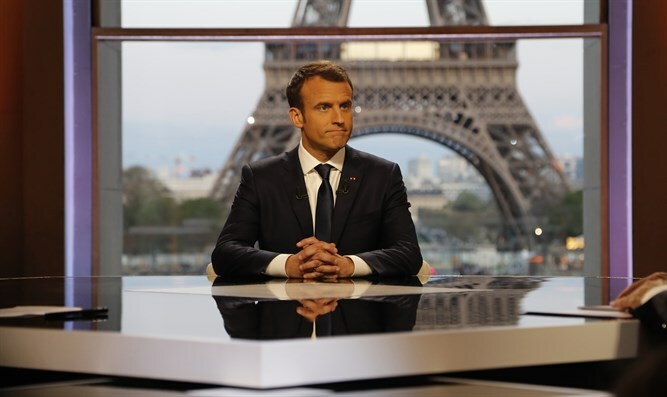 Macron said he wanted to engage in dialogue with all parties involved, including Russia, which backs Assad politically and militarily, in order to find a political solution for Syria. There are no changes to his planned trip to Russia next month, he said, according to Reuters. France has several times changed its position on Assad since Macron took office. Initially, the French president said that the removal of the Syrian president was not a "prerequisite" for peace in the war-torn country, and that he did not see a "legitimate successor" to Assad. Later, French Foreign Minister Jean-Yves Le Drian said there should be a political transition in Syria that would not include Assad.